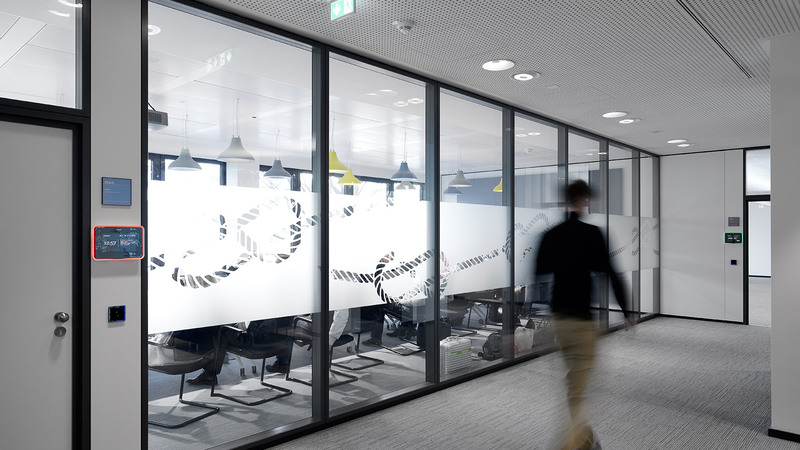 Moving more than 1000 employees to the new location at Hamburg airport will see several different areas of the company come together in a single place. 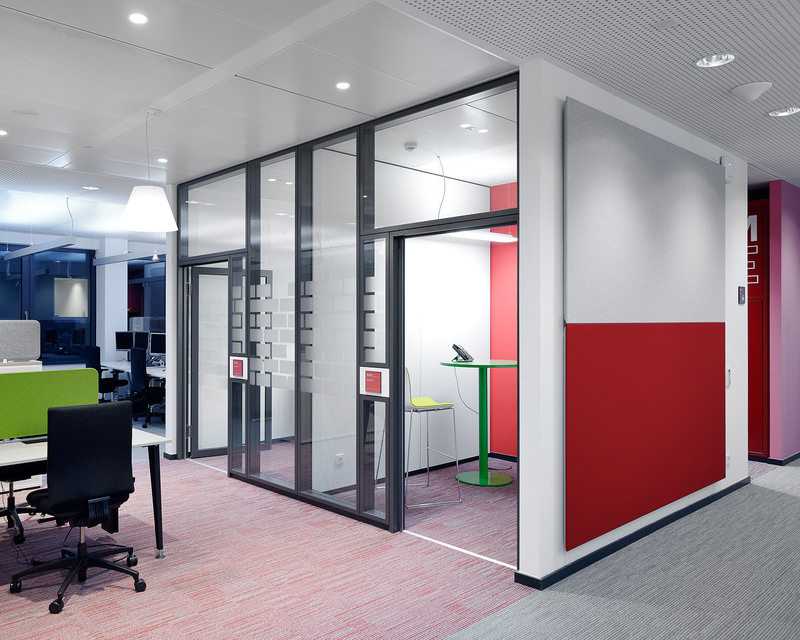 Hamburg-based interior design agency sbp used colours when planning the building in order to facilitate orientation within the six-storey new build as well as to increase the level of identification with the working environment. 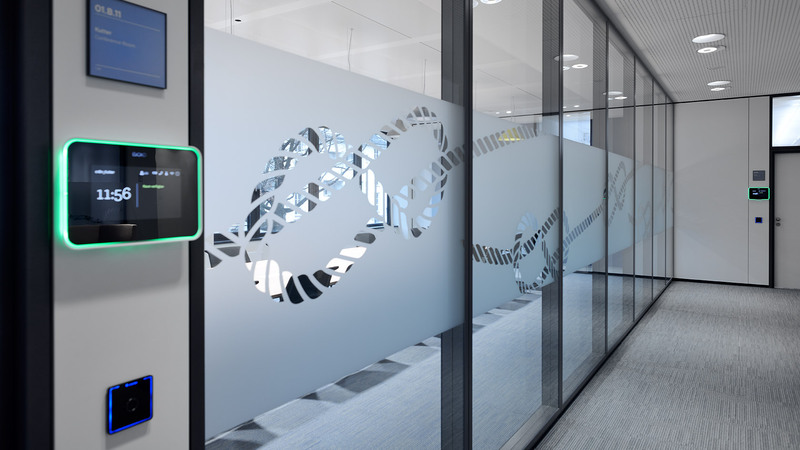 The design follows Philips' own "Work Place Innovation" concept which is being implemented step-by-step at their locations around the world. 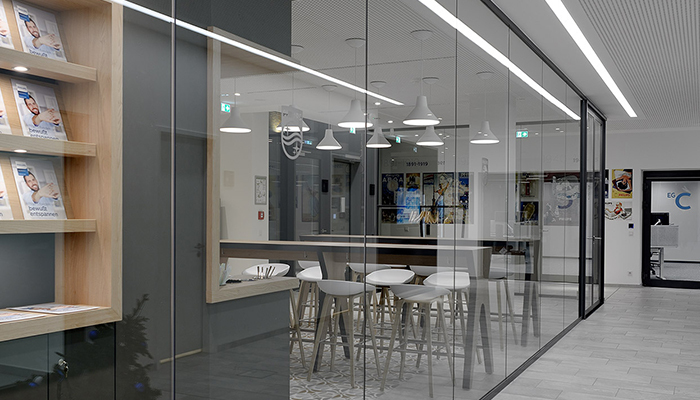 In central focus was the aim to strengthen communication between employees not only by establishing a mix of different room types but also by using modern technologies. 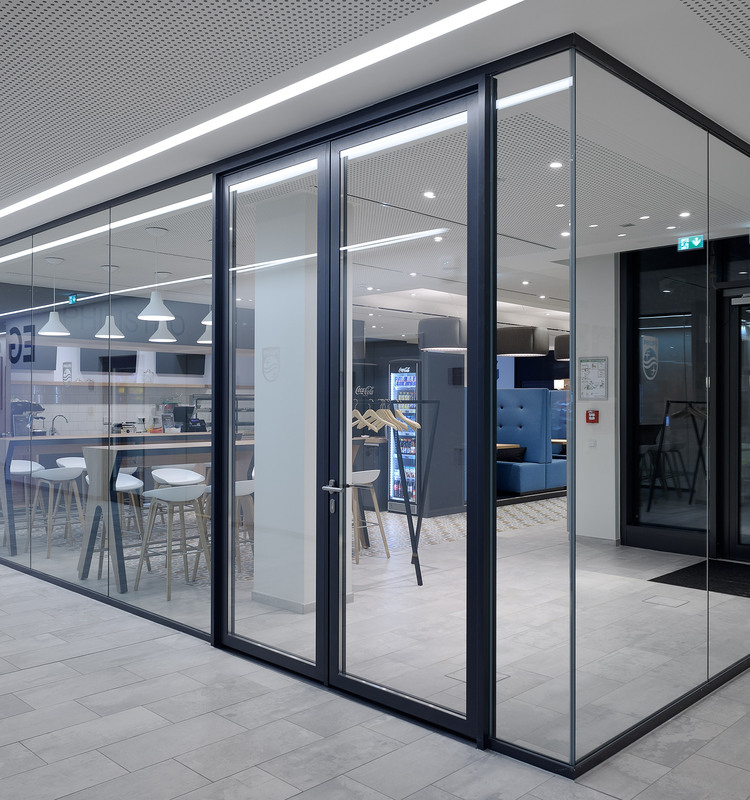 This was achieved using either single-glazed or double-glazed partition wall systems from Strähle, depending on the individual requirements. 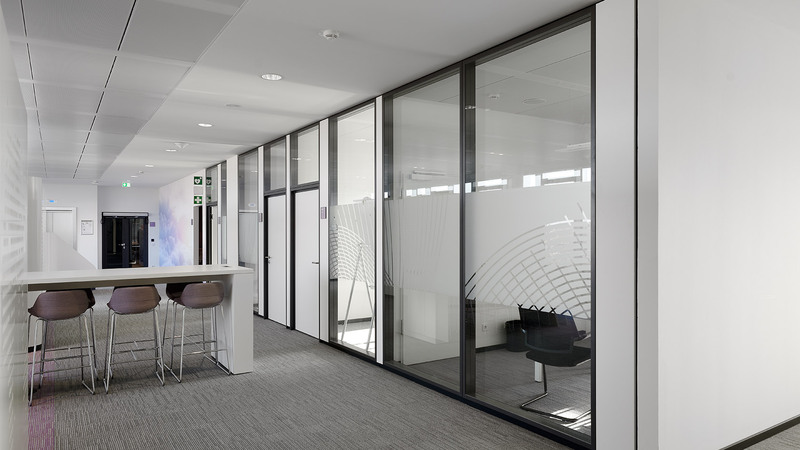 The System 3400 all-glass partition walls create transparent, translucent communication zones on each floor. 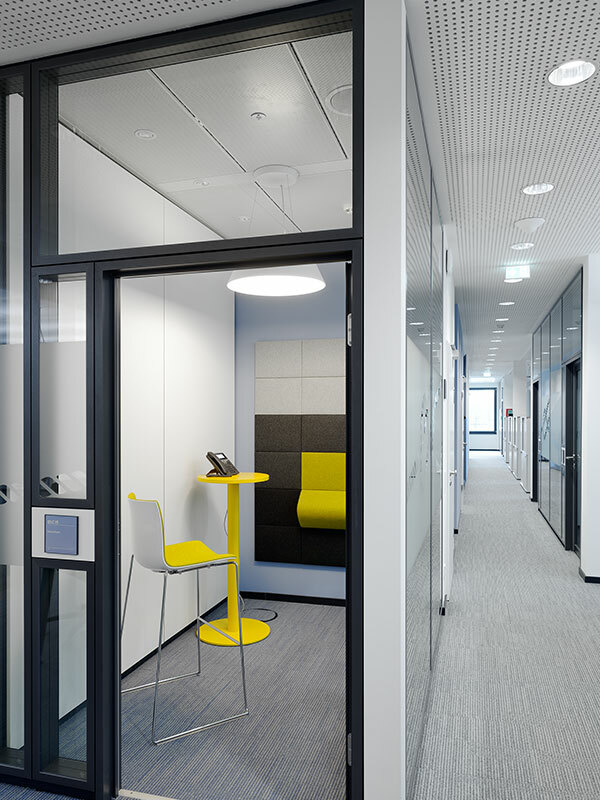 Phone booths and retreats for meetings were created using the System 2000 double-partition walls. Both systems were finished in the colour Anthracite DB703. Great sound insulation values and flexible adjustment possibilities were requirements set out by the client. Touchscreens are placed next to the entrance doors, allowing rooms to be booked when required.